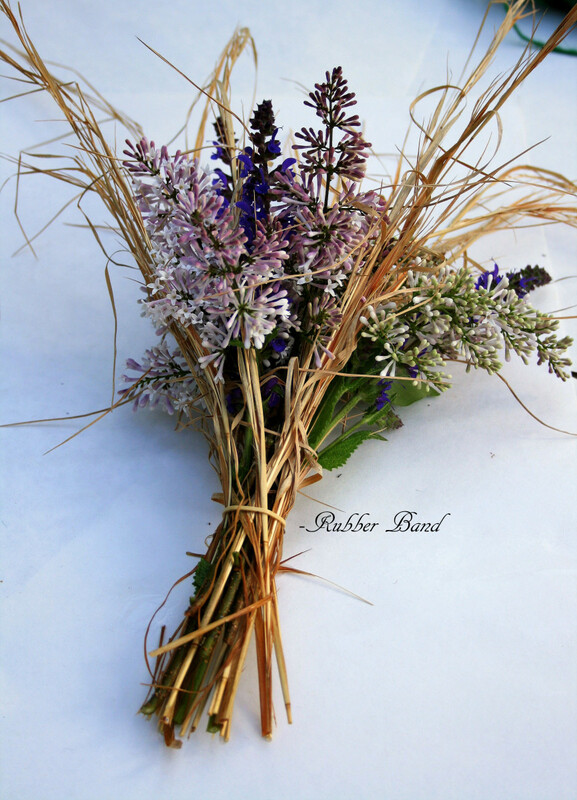 Make a Bouquet for Mother's Day! When it comes to a gift for Mom, it truly is the thought that counts. What could be more thoughtful than a hand-picked bouquet on Mother's Day? Small bouquets of fresh flowers, greenery, and herbs small enough to carry in one hand are called tussie-mussies, posies, or nosegays. 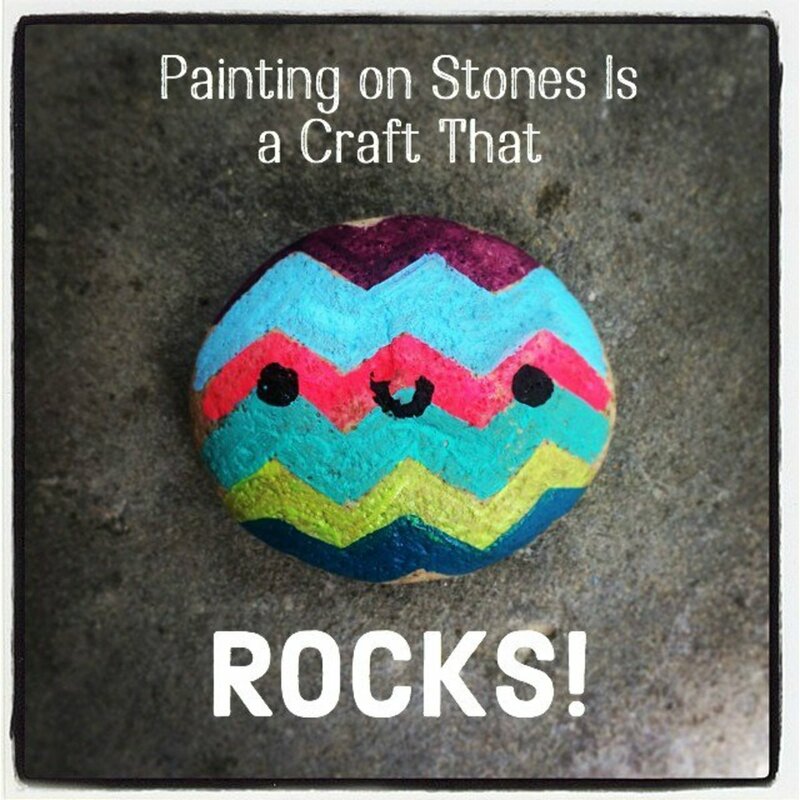 They're simple to make and incredibly charming. They're also highly portable, so Mom can carry her small bouquet everywhere she goes on her special day. Afterward, she can place it in a small vase to stay pretty for days—a sweet reminder of your love and devotion. If you're on a budget, don't worry! To make the bouquet inexpensively, use flowers and greenery from your yard, the roadway, and the woods. You can even use leaves from houseplants. Many lovely plants bloom in May, so the plant choices for Mom's bouquet are numerous. Here in Maryland, irises, roses, pansies, lilac, forsythia, and yarrow are in bloom on Mother's Day. Herbs like lavender, oregano, thyme, rosemary, and chives produce fragrant green shoots in May. Ferns are unfurling their fronds in the shade. Along the roadside, many weeds and wildflowers are in bloom. Where Can I Find Flowers for the Bouquet? Cuttings from plants Mom has given you are also good choices for the bouquet, as are the stems from plants that have been passed down in the family. In the bouquet above, I included a stem of a ground cover given to me by my mother, who received a cutting of it from her maternal grandmother. When it comes to a gift for Mom, it truly is the thought that counts. If you'd like to send Mom a specific message through the bouquet, add flowers that have special meanings. The Farmer's Almanac online contains long lists of flowers and their special meanings. Online florists like ProFlowers, Teleflora, and FTD also provide information on the language on flowers. As you combine your nosegay, crush the herbs a bit and breathe deeply, inhaling the mix of herbs and flowers. You're not only making a visually beautiful flower arrangement for Mom. You're also combining scents for her, in effect making her a perfumed bouquet. Traditional tussie-mussies are made from sweet-smelling flowers as well as fragrant herbs like basil, rosemary, and lavender, so don't forget the herbs! 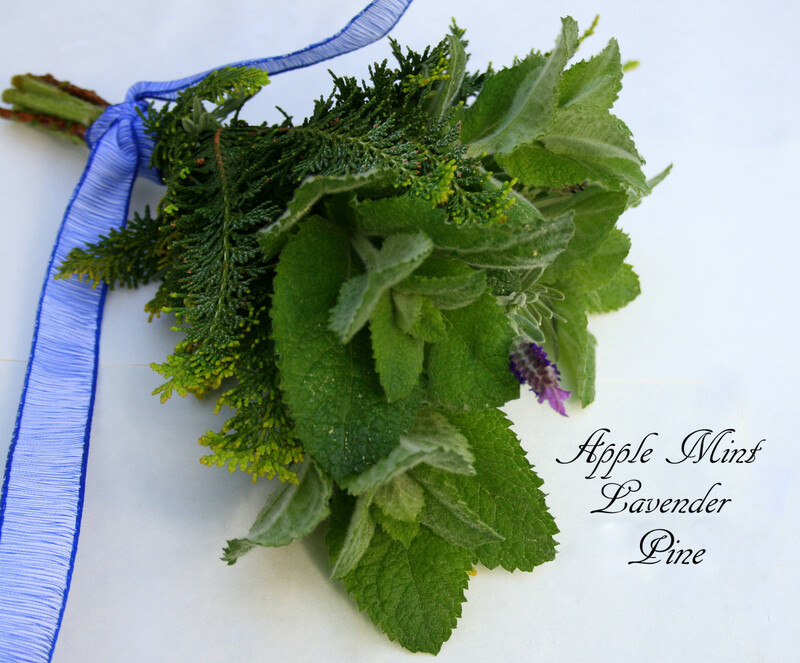 Some herbs like apple mint and lavender have a lovely soft texture as well as a wonderful scent. Whatever plants you choose, be sure to exclude those Mom may be allergic to. Also, if you forage for stems in the woods or by the roadside, steer clear of pretty but poisonous plants like poison ivy and poison oak. You're not only creating a visually beautiful bouquet for Mom; you're combining scents for her, in effect making perfume. The small bouquet above is composed of lilac, salvia (sage) and broomsedge, the latter taken from the side of the road in front of our house. 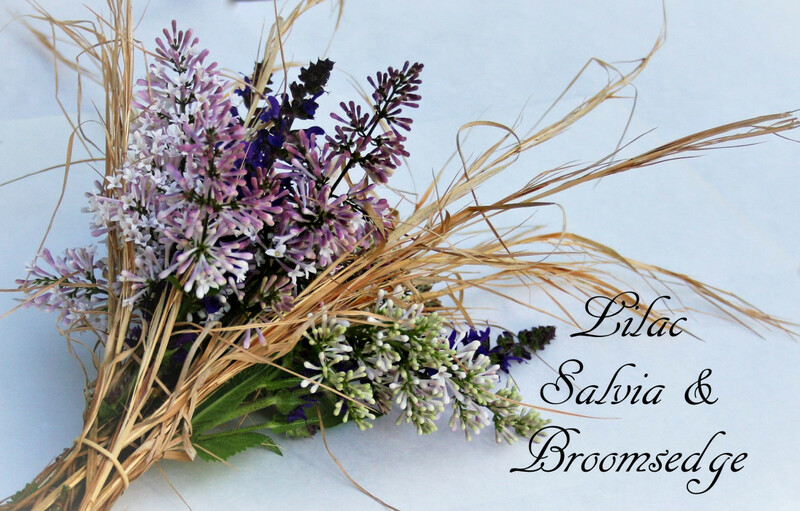 The sedge is not fragrant, but the salvia has a pungent aroma that cuts through the heavy sweetness of lilac, giving the bouquet a fresh, invigorating scent. 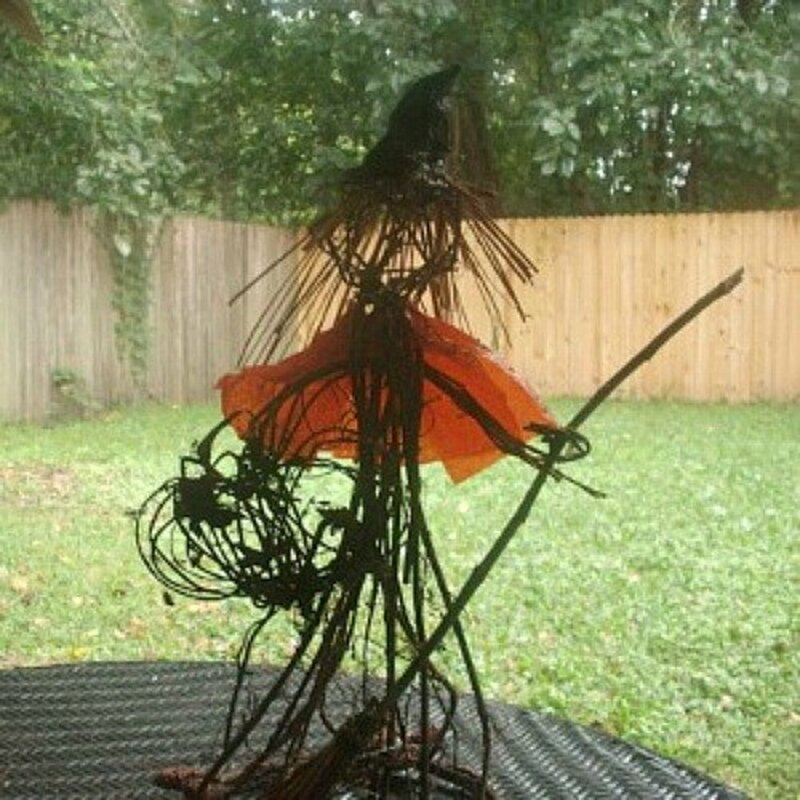 The stems are fastened together with a rubber band which was later covered with strings of sedge and hot glued in place. Otherwise, the stems are bare. If the bouquet is left in water long, the lilac will probably develop roots. Wouldn't that be a lovely bonus! As you collect stems for Mom's bouquet, cut several of each. I usually collect three to five stems from established plants, being careful to take a third or less of it so as not to harm the plant. Rather than breaking off the stems, use scissors, a sharp knife, or by-pass pruners. As you work, place the cut stems in a clean container of water. A sharp cut that does not crush the stem will allow it to draw up water and stay fresh longer. Strip the leaves and thorns from the bottom portion of the stems, leaving Mom about six inches of smooth, clean stem to hold. 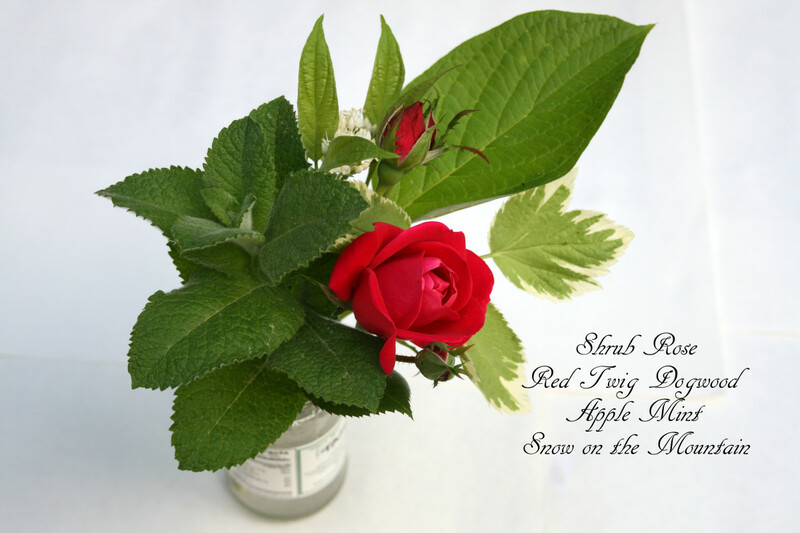 Use a flower stem stripper, pruners, or a gardening knife. For some plants, your fingers will work, too. 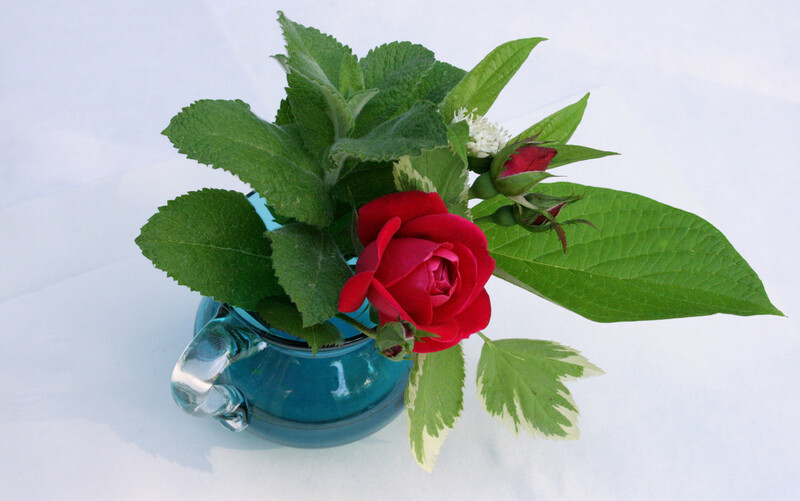 For instance, the thorns on young rose cuttings can be easily nudged off with your fingernail. After you've gathered your cuttings and stripped the leaves, select one flower or group of flowers as the center of your bouquet. Hold the cutting(s) in your hand and then, moving around the center flower, add the herbs and other greenery to it with your other hand. Again, be sure you have stripped the stems. If you don't, your bouquet will be hard to assemble, and once it is, it will not last long, as the crushed leafy stems will speed up your bouquet's decline, especially if it's placed in water. Don't sweat it if your bouquet does not look florist perfect. That's part of its charm! Even if its appearance isn't astounding, if you've used herbs, your bouquet will smell far better and more unique than a bouquet purchased in a florist's shop or from an online florist. The bouquet below, for instance, is definitely not the most breathtaking one I've ever made, but because it contains apple mint and lavender, it smells good enough to eat! It's also velvety soft to the touch. What Mom wouldn't want to cuddle up to that? Once you've arranged the stems in your hand, it's time to bind them. I prefer rubber bands for initially binding my bouquets, but there are many other options, including the twisty ties off bagel bags. 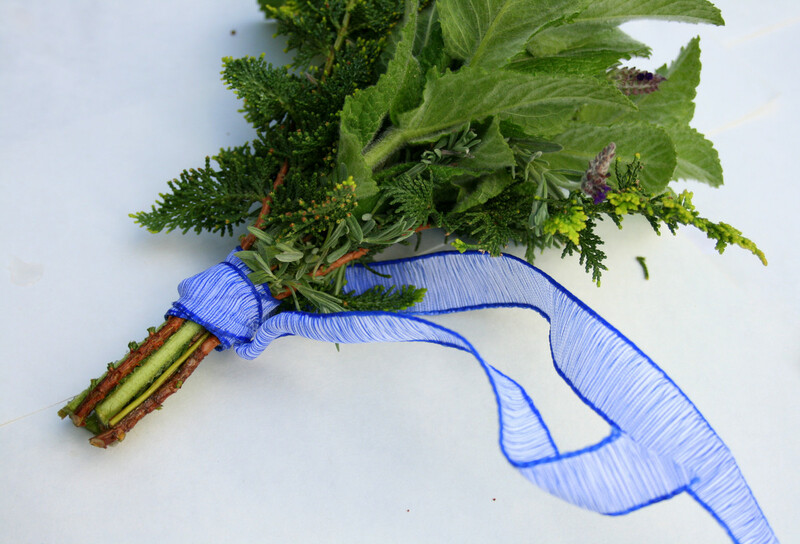 In addition to binding the stems, people often wrap hand-held bouquets in decorative twine or ribbon, or place them in paper cones or pockets made of paper. Traditional tussie-mussies are surrounded by lacy doilies. Of course, you can use nothing at all if you wish, leaving the bound stems bare. Finally, keep it simple. Shoot for sentiment rather than the expense. With just a few plant cuttings and items from around the house, you can create a thoughtful, fragrant and beautiful bouquet that Mom will love. Handheld bouquets created by professional florists for weddings and other occasions can be incredibly elaborate and costly. But a small bouquet made by you? That's extraordinarily meaningful and wonderfully sweet. In other words, priceless. hello Jill Spencer i am Huda Shabbir right now can i ask you for a favour? can you please tell me how to write an featured article? Such a splendid gift package. Good topic, really liked your recommendation. Thank you so much, Verlie! You're very kind. Beautiful Jill, stunning floral art, a gorgeous page, and a useful tutorial. I like the way you have made it simple and accessible. Kudos! Thank you, Kathryn! I appreciate your kind words. This is such a sweet article! 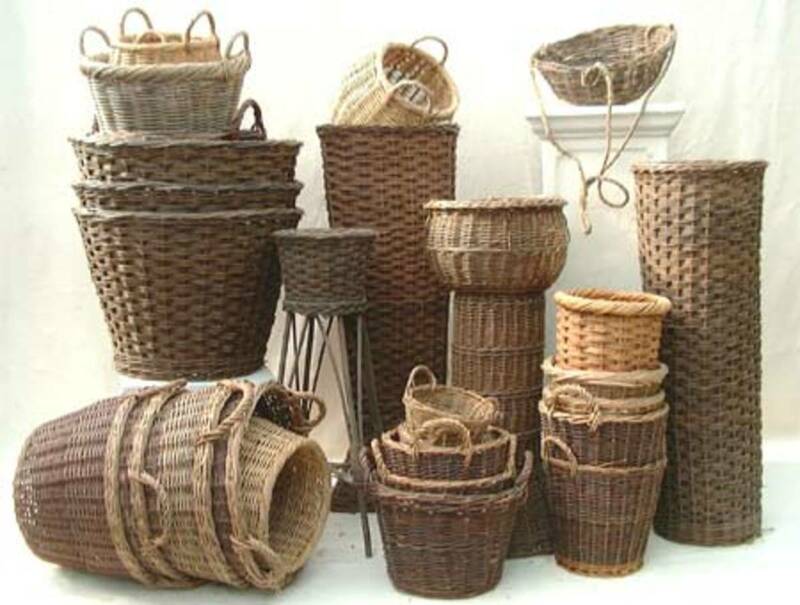 I love the thought of handmade gifts, and most woman love flowers. Great job, and thanks for sharing this with us. This is a very in-depth and well-written article. Your Right .For the mother said right, whether you make a bouquet from your hands or make a dish of their choice, they like it very much. That's right, this bouquet is really beautiful and mother will love it too. What a wonderful tutorial! Congrats for winning the contest. Happy Mothers´ Day to you. Thoroughly enjoyed it! Now i am off to make my own from the Peonies in my garden. A very useful article, especially for this Mother's Day! Thanks especially for the table of meanings. I can imagine the smell of the perfumed fresh greenery. Thank you and Have a Happy Mother's Day! This was beautiful and made me remember picking flowers for my mother as a young child. Your photos are lovely as well. Have a wonderful Mother's Day! Reading this brought me back to my childhood when I often picked wild flowers and weeds making bouquets for my mother and grandmother. Your examples and ideas are lovely. Any mother, grandmother, aunt, teacher and other cherished people should appreciate gifts like this. Happy Mother's Day! I can only remember one special Mother's Day that I did for my mother as a young girl. I had painted a bird, I think a robin, from a model bird kit and presented in a box with Easter grass. She loved it. I love herbs, flowers, and even some "weeds." Sadly, my article on floragraphia has long since been deleted (lack of self confidence and impatience aren't traits for success--and it's taken me quite some time to realize this with writing). Thanks for stopping by, Donna! Always good to hear from you. I spent the morning volunteering at a garden and pulled my blasted shoulder out again. Aagh! Hope you have a good one! Wonderfully written and interesting. I learned a lot. I had no idea the flowers and plants were associated with metaphorical meaning. These simple bouquets are a wonderful idea for Mother's Day. I never thought of making a bouquet of sweet smelling herbs, but I love the idea. Thanks for these suggestions! I like your advice of keeping it simple. Moms usually just like the thought of being remembered and something simpe will do and for her will always be the most beautiful ever.